Available in twin, full, queen, split queen and split king sizes. Standard innerspring mattress available in soft, medium, or firm. 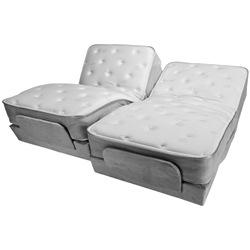 Adjustable Height: Lowers to 17" (Floor to Mattress Slates) 15" if you take the casters off. Innerspring mattress standard, upgraded mattresses available. 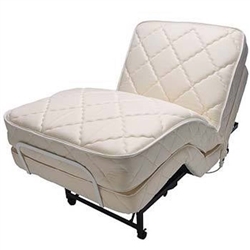 Adjustable Bed Height: The height of the Flex-A-Bed Premier comes standard at 23 inches and can be lowered to 21 inches by removing the casters. Looking for a bed that fits you? 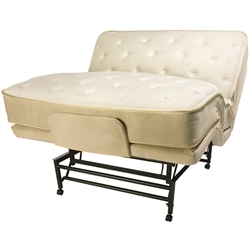 Our adjustable beds will be right up your alley, find adjustable beds in a variety of shapes and styles! We here to help call Wheelchairauthority.com at 866-218-0902!